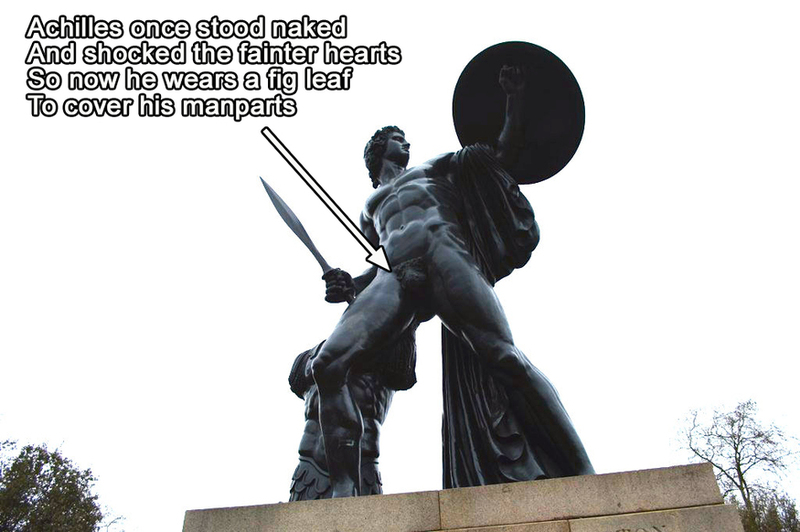 Achilles was placed in Hyde Park in 1822, and is forged from cannon captured in the Duke of Wellington's campaigns. The fig leaf came soon after. Laurence Olivier once opined that the statue has 'the best arse in London'. The radical politician was noted for his ocular abnormality, immortalised in this sculpture. Image by Elliott Brown under Creative Commons licence. The statue was paid for by Theodore Bryant of the Bryant and May match factory. His factory was the focus of a landmark 1888 strike over the appalling working conditions of employees. 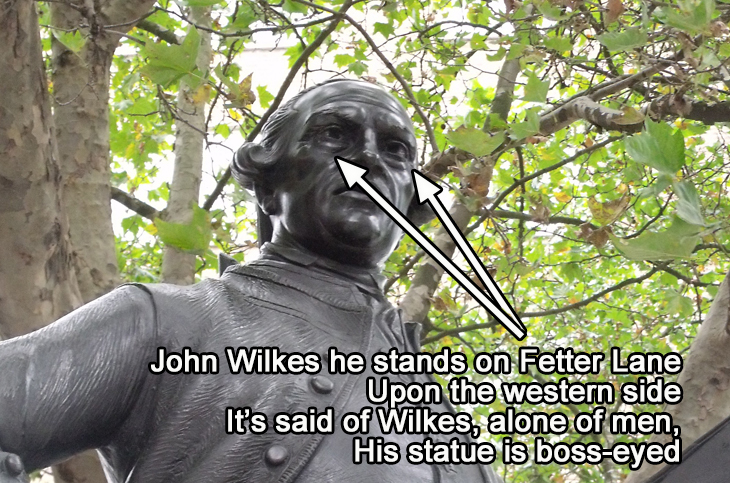 The statue was immediately targeted by protesters. Its hands have been scrubbed on several occasions, but are always repainted red. An excellent history is given here. This group statue is likely to move to the Olympic Park when West Ham shift grounds. 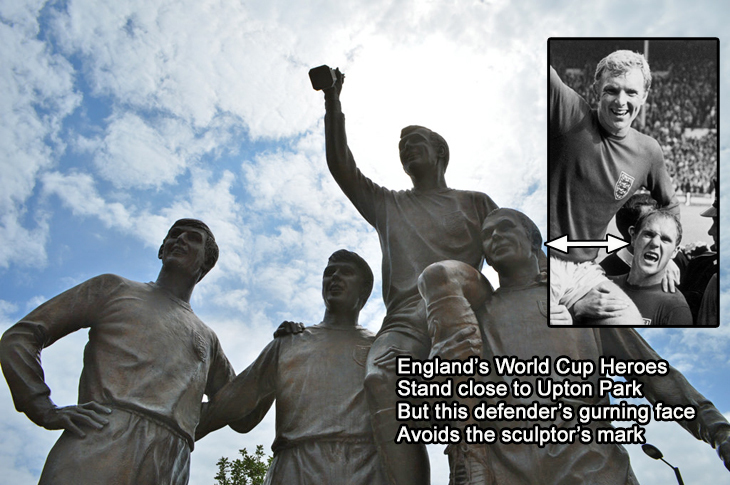 Sculptor Philip Jackson chose to show defender Ray Wilson in a more neutral pose than many of the photos depict. 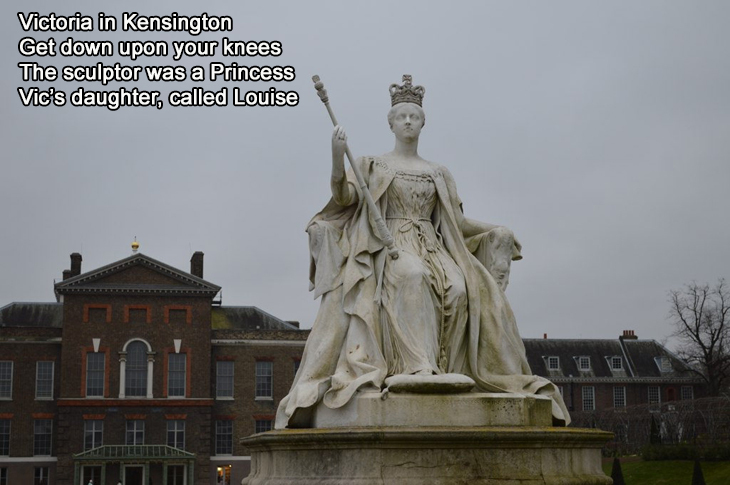 You might know Princess Louise from the eponymous pub in Holborn. Female sculptors were rare in the 19th century, but Louise had work on show at the Royal Academy in her 20s. 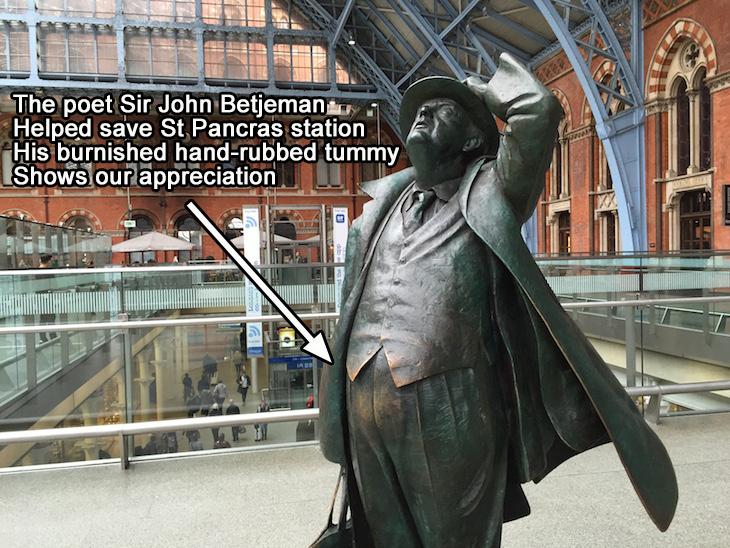 Betjeman was at the forefront of the battle to save St Pancras from demolition in the 1960s. 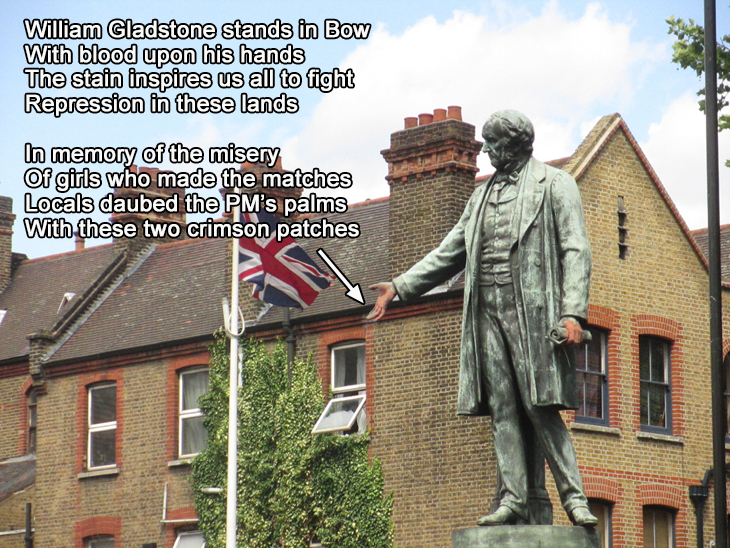 His statue is now one of the most cherished in London. 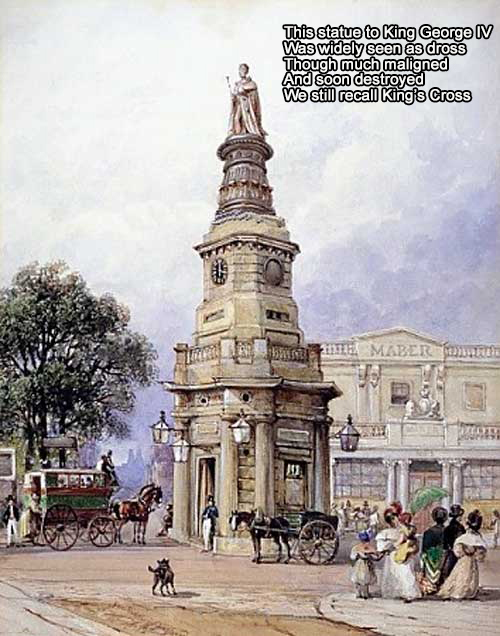 The area we now call King's Cross was traditionally known as Battle Bridge before erection of this monument to George IV in 1830. The bridge refers to a crossing over the River Fleet, which flows through the area (now underground). 'Battle' is thought to be a corruption of 'Broad Ford', and not reference to an actual battle. It is often claimed that the statue of Eros is really Anteros, or the Angel of Christian Charity. A poll in the early 20th century found that most Londoners thought it was Mercury. 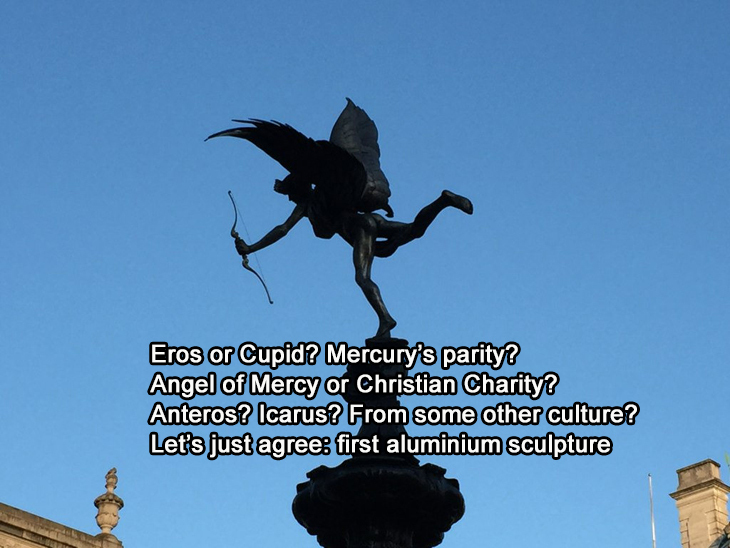 More certain: 'Eros' was probably the first public statue made of aluminium. 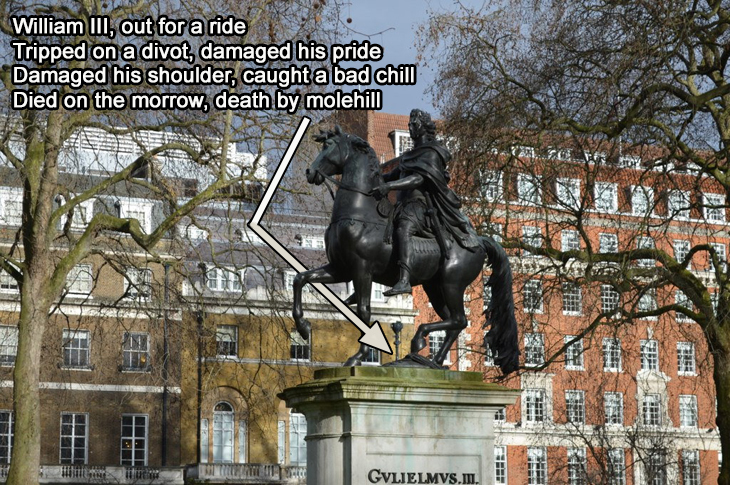 You'll find William III, and the assassin molehill, in St James's Square.